It can only be a serious level of insanity act when a grown man pulls the trigger and shoots down a commercial airliner. Boy, what happened to this world? 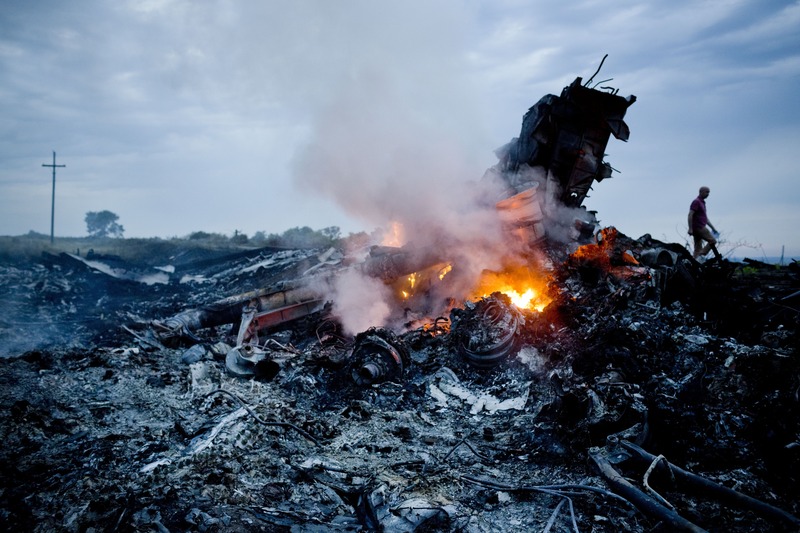 What wrong had the passengers and crew on Flight 17 done to deserve such a cruel punishment? You may ask yourself – Why does God seem to be silent about all this? But why do you need to feel that way? Why do you think that God is silent? Why do you think like God is playing hard to get or like he’s just standing there looking at us when we cry to him for help as our airplanes keep falling from the sky? We all feel disoriented and desperate whilst the cruel people seem to be getting away with it. But let us not despair. The ‘silence’, the absence of God is phenomenological. IT’S HOW IT FEELS, IT’S NOT HOW IT IS. We are not alone. God is with us (Psalm 23:4). And He is speaking all the time in the priceless gift of His objective Word that we should patiently bear our trials and the opposition which we meet. They may continue to shoot down airliner after airliner, but we must not feel like we are forgotten, neither must we attempt to avenge ourselves; The Lord will surely judge those who injured or killed innocent souls. The evil doers will surely give an account for all the wrongs which they did to the children of God. There’s a God who sees.